1. If you have any problems CONTACT THE RIG OWNER – virtually all of us are more than happy to compensate you for lost mining time. I’ve given refunds and extended lease times to compensate for downtime, and others do the same. 2. If they are unresponsive, hit them with a bad review on their Trust thread (which is a mandatory thread we all have per our terms of service). Other prospective customers should see that and select a rental rig accordingly. 3. Plus you should contact Leaserig directly – the owner is very responsive in my experience. Plug he takes deposits from rig owners, so he will want to know if anyone is misbehaving or treating his customers badly. 4. Moreover, Leaserig has been working on improving the glitches and technical issues with their service. I believe the pool defaulting issue mentioned in this article has been resolved. These are all key points, I hope people will keep an open mind towards Leaserig in the future. I don’t think this article does it justice at all. But that is ignoring the larger point. Even if this thing worked *exactly* like it was supposed to, with no errors, he still would have paid 0.01070000 BTC for (0.00485666 BTC worth of doge. There is simply no way for these contracts to ever, under any circumstances, be a good buy. 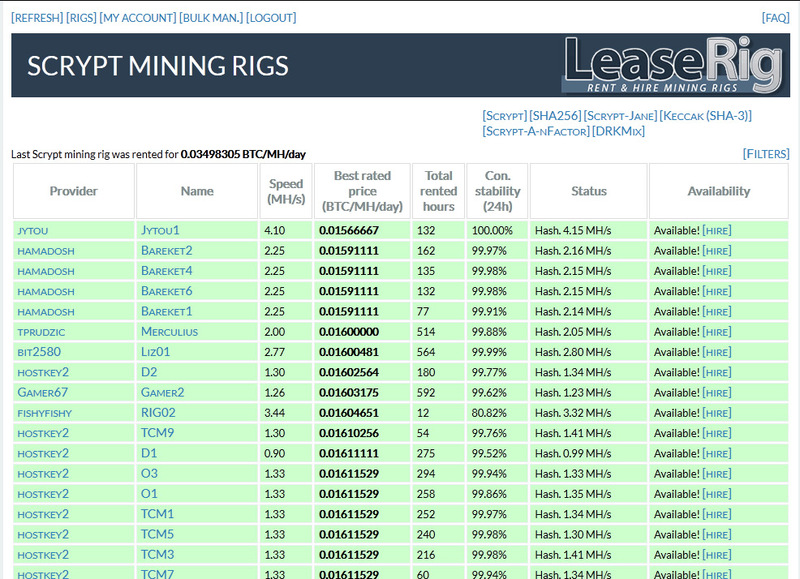 iv’e also tested these rig mining lease sites… MY conclusion is simple STAY AWAY FROM THEM!! yes the rig owner may be a nice guy who helps sort out issues or refunds for pools going down or whatever it may be, but the true fact of it is simple, the only persons who will make any profit at all is the rig owner and the site where you rent from, it is virtually impossible to turn a profit. 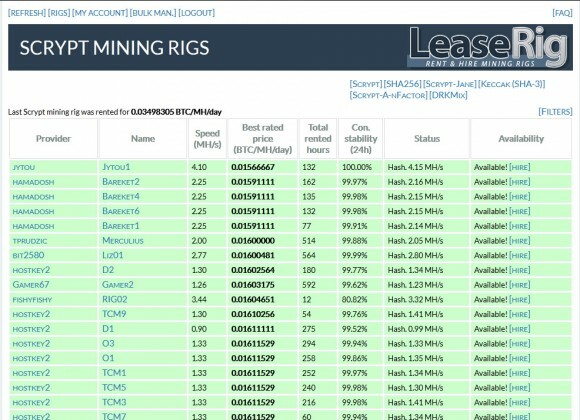 lets say you pay $2.50 for a mining rig lease/rental, you will earn back about/approx $0.50. Rig renting is a idea and concept that will spontaneously combust in the not to near future because of the greed of rig owners and sites they use to rent… why anyone will pay $10.00 for a mining product/contract that will only make them $3.00 = $7.00 net loss but they wont be back for more unless they really are stupider than stupid. this is nothing more than throwing good money away to someone who frankly is RIPPING YOU OFF!! and for ebliever to finish his post with the nonsense he has is quite frankly insulting to the readers of this & other blogs/sites. this guy is a rig renter who is making more money from renting people rigs than the rig would make him if he just ran it solo at home. i think as someone who has tested rig sites out that, this blog article does it very much justice and hits the nail on the head. RIG RENTAL IS A WASTE OF TIME & MONEY!! listening to a rig owner is like listening to someone telling you to put your hand in the fire and you wont get burnt. rig renting is nothing more than a sham (not a scam because you get what you pay for) but most certainly a sham.